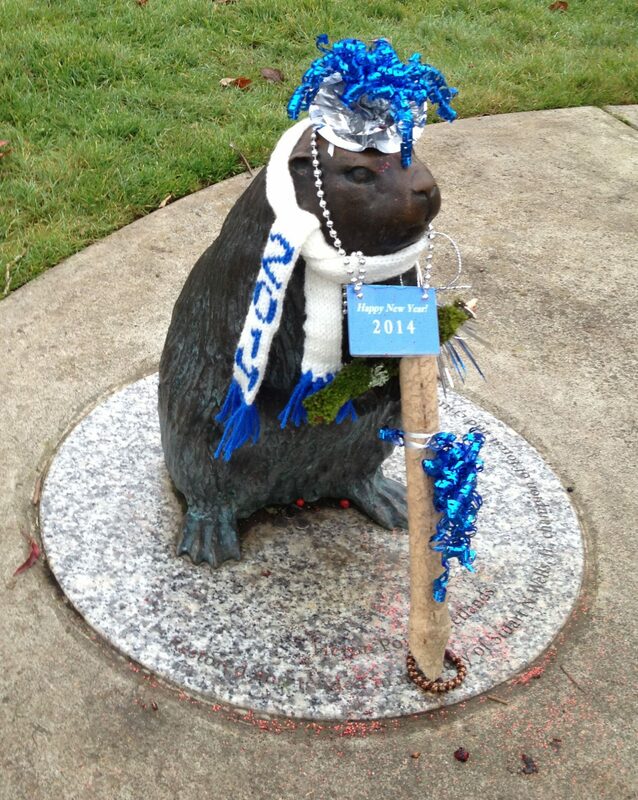 Over the years walking the greenway, I’ve been taken with how much the beaver sculpture is loved by passersby. 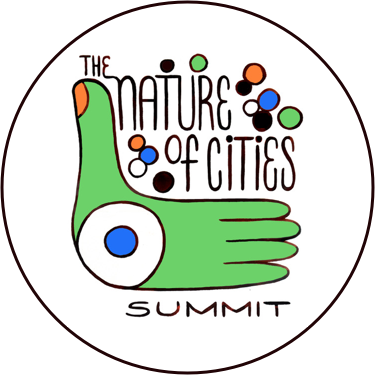 And how it might connect people who are otherwise disconnected from nature and even their neighbors. 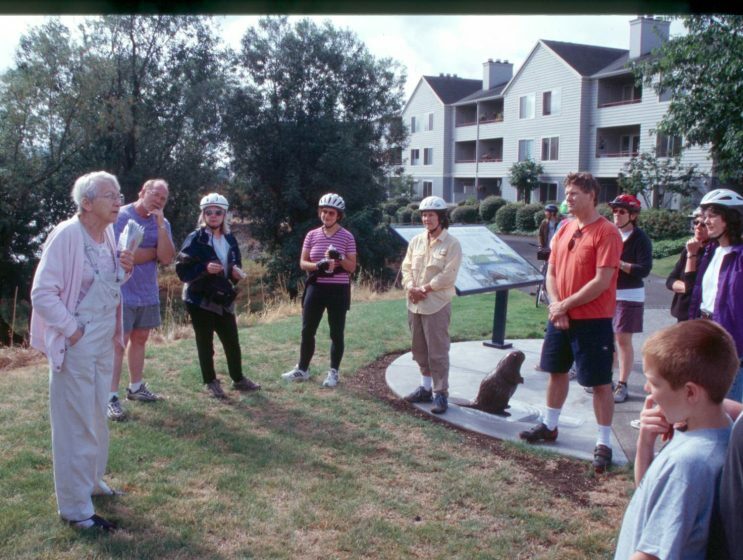 In a previous essay, Size Doesn’t Matter, Really, I made the case that even small scraps of urban green, such as Portland’s one-square-block Tanner Springs Nature Park can provide significant benefits to a community. 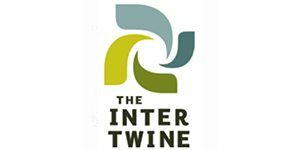 Located in the city’s intensely developed Pearl District, Tanner Springs provides access to nature to thousands of nearby apartment dwellers and contributes to urban biodiversity as well. In some cases, these mini-greenspaces are the only access to nature local residents might have in their everyday lives. 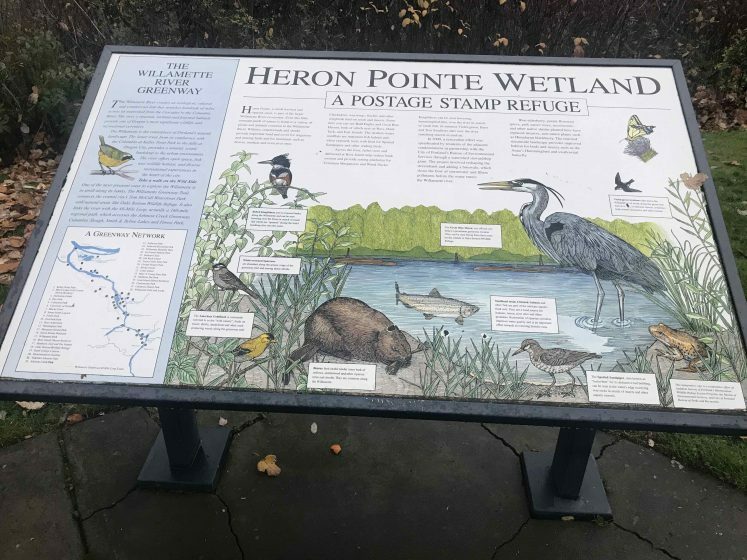 I also highlighted Heron Pointe Wetlands, a small remnant of green on the Willamette Greenway close to downtown Portland. 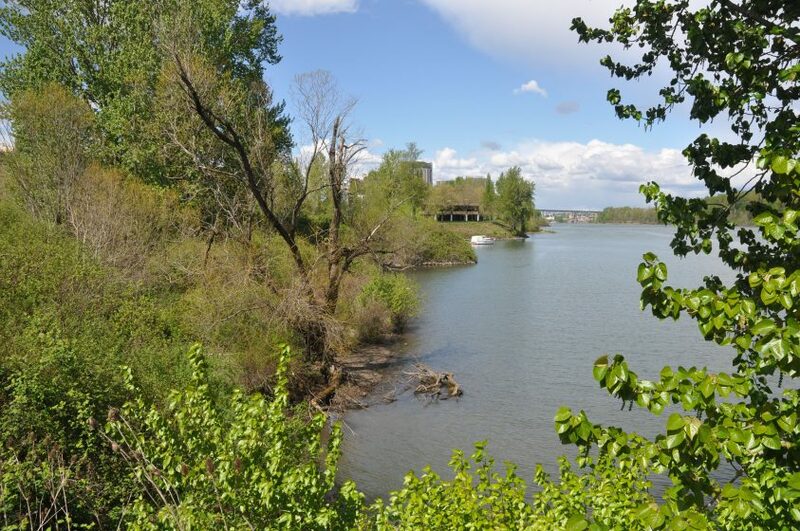 With few riverine habitats remaining within the city limits, its importance far outweighs its half-hectare size. 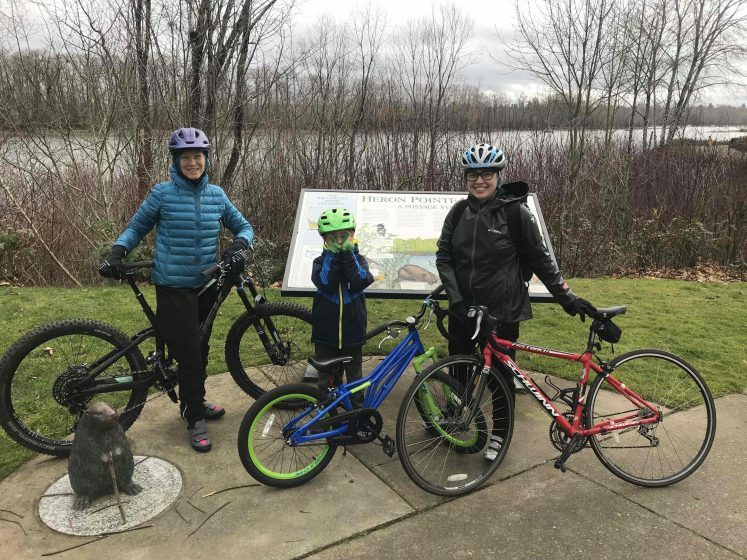 Located along the Willamette River, this postage stamp sized wetland is home to mature black cottonwood, ash, willows, elderberry and red-osier dogwood. 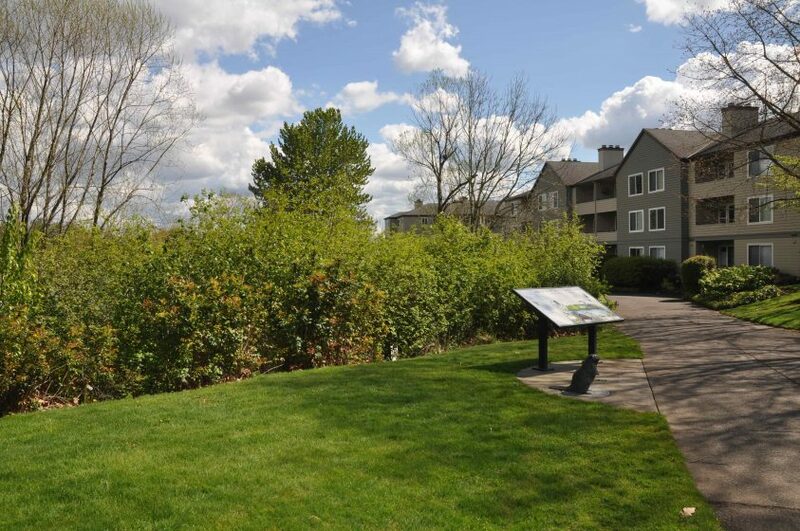 Since the 1980s, there has been an ongoing conflict with the condominium owner’s association over the trees and native shrubs. Some in the association have an aversion to “messy” cottonwood seeds that waft onto balconies and the greenway path. 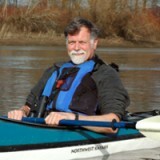 Even as I write this, condo owners have launched another assault on the wetland vegetation, using the rationale that the Himalayan blackberry is an invasive weed on the city’s no plant list, despite the fact that the city has environmental policies in place that recognize even invasive species provide critical habitat on this reach of the Willamette River. But, along with the blackberries, they’ve also ravaged native stands of red-osier dogwood, willows, and native wildflowers, hacking limbs from the cottonwoods and ash trees to improve views to the river. The ongoing conflict with the homeowners, more than three decades after having secured the wetland’s protection, is deeply frustrating. Often, however, when I’m at my lowest ebb, I get a shot of inspiration and a renewed passion for that miserable, scrappy little riverine preserve from an inanimate creature that occupies a place of honor along the greenway trail. 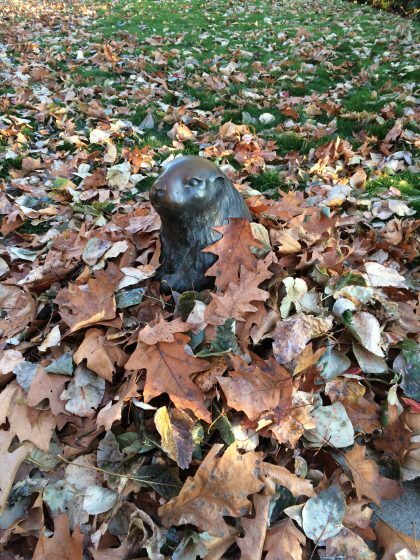 A three-foot tall bronze beaver has captured my heart and apparently the hearts of passersby who cannot resist stopping to pat it on the head and leave small tokens of affection. 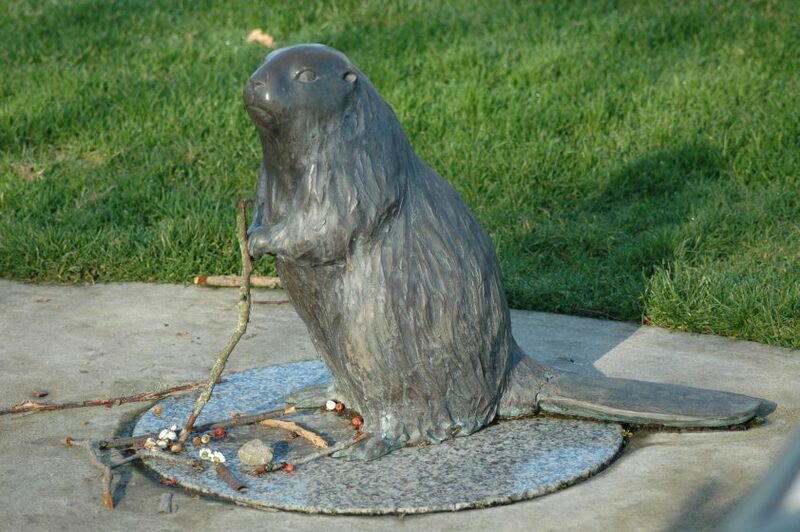 Ironically, the beaver was installed by a wizened, white-haired, wiry resident of the adjacent Heron Pointe Condominiums who was, by far, the most militant antagonist of the offensive, scruffy cottonwoods. Her name was Lucy. 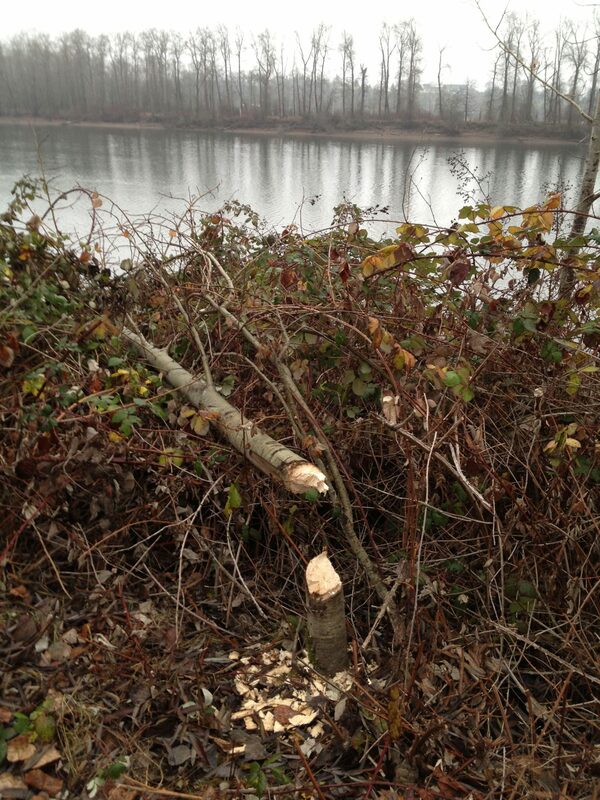 Lucy initially protested the trees blocked her riverine view. 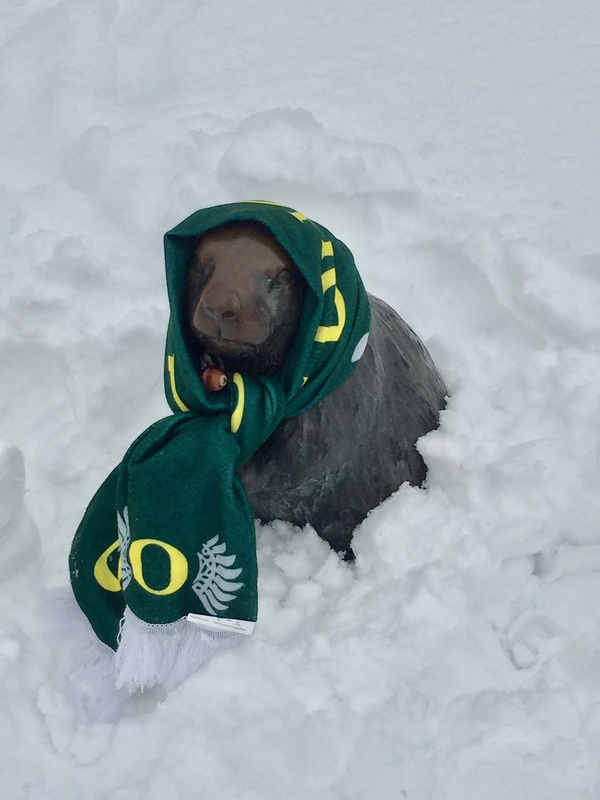 When that failed she insisted the air-borne, fluffy snow-like seeds were a nuisance. Her final gambit was to claim the trees exacerbated her asthma. In one of my most memorable Lucy episodes, as I was being wired for an onsite television interview I told the cameraman and interviewer that it was highly likely she would appear to harangue me about the cottonwoods. Right on cue, camera and audio rolling, she appeared and proceeded to poke me in the chest, demanding we remove the offending trees. Looking over my shoulder I could see the TV crew doubled over In laughter. Alas, none of the footage was used. I’d give anything to have that footage for the archives. The point being, of course, that even though we’d managed to save this postage stamp sized wetland from development, so long as it was in private ownership its long-term fate was not assured. While dogged and strident in her loathing of those cottonwoods, Lucy was also sweet as could be. 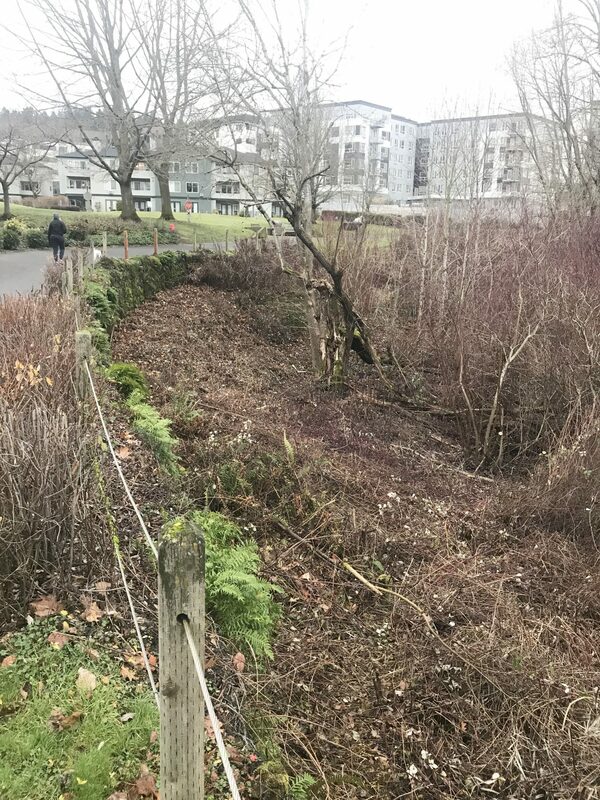 In fact, tree averse as she was, she rallied her fellow condo owners to work with the city’s environmental services bureau to remove invasive plants and replant with native species a couple decades ago. Sadly, several years ago her husband died of complications of Alzheimer’s. 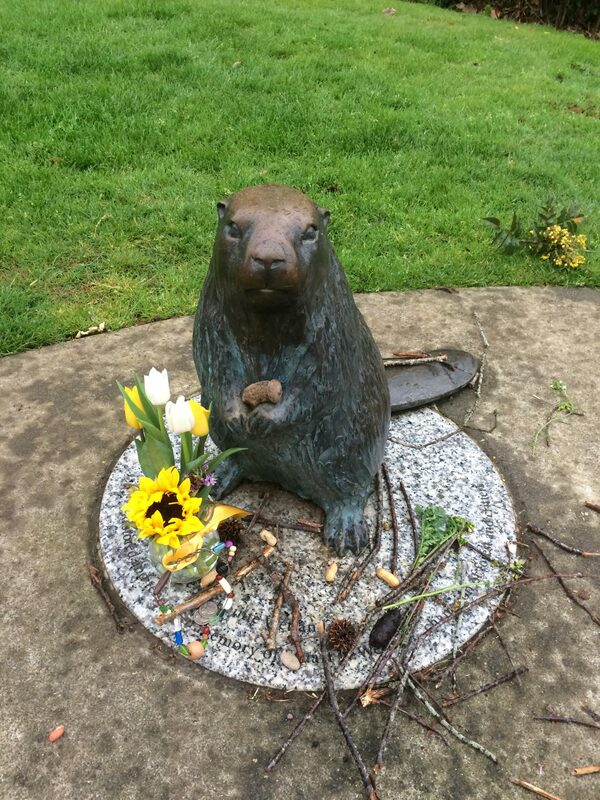 To honor him she installed a cast bronze beaver, an animal abundant on nearby Ross Island and along banks of the Willamette River; and one especially fond of wetland’s native species. More recently Lucy herself moved to an assisted care facility. As testy as she was, I admit to missing her frequent harangues. Another incident, with another condo resident drove home the fact that merely protecting a patch of ground, particularly if it’s privately owned, is insufficient in the long term. Ongoing public education and long-term monitoring are also needed. 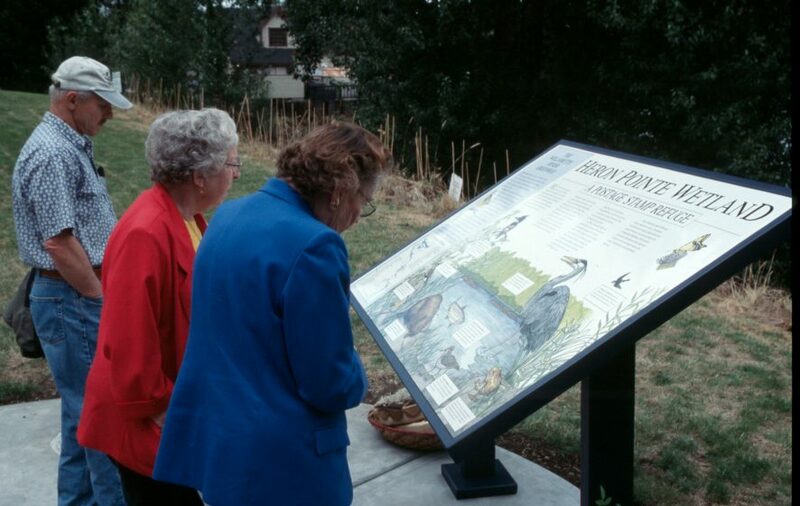 In this instance after installing a beautiful, information-packed interpretive sign were sitting on a nearby bench quaffing a couple magnums of champagne to celebrate three years navigating the city’s bureaucracy to get the sign installed. 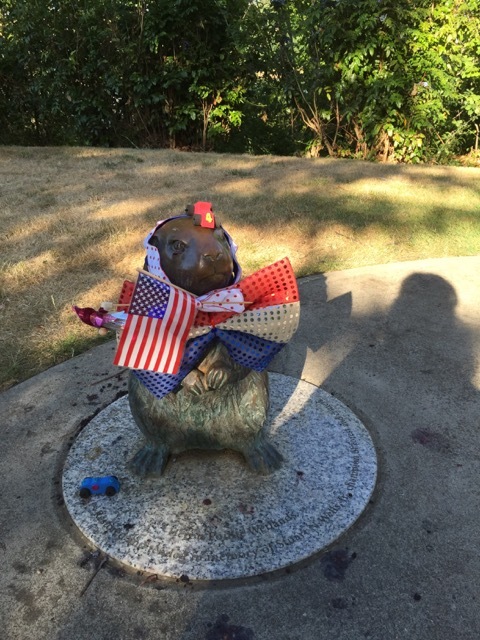 Over the years walking the greenway, I’ve noted how much Lucy’s beaver is loved by walker and cyclists many of whom are unable to resist giving the beaver a pat on the head or leaving small twigs, a flower, or some other token of their affection. 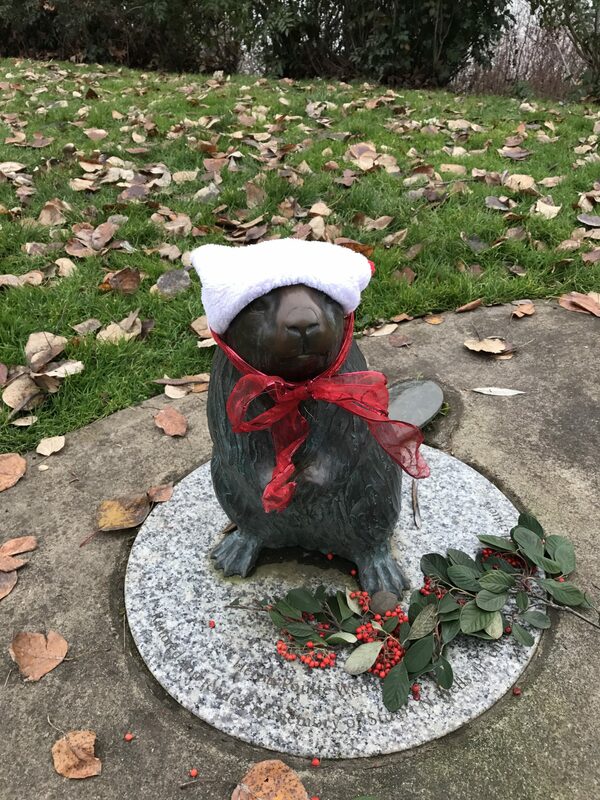 One greenway habitue’ even took to décorating it with attired apropos of the upcoming holiday or passing of the season. While I always look forward to seeing the feisty Anna’s Hummingbird fiercely guarding his nearby perch on a red-osier dogwood, I am equally delighted to find some new trinket, beaver-chewed twig, or outfit has been festooned on the much-beloved wetland icon. 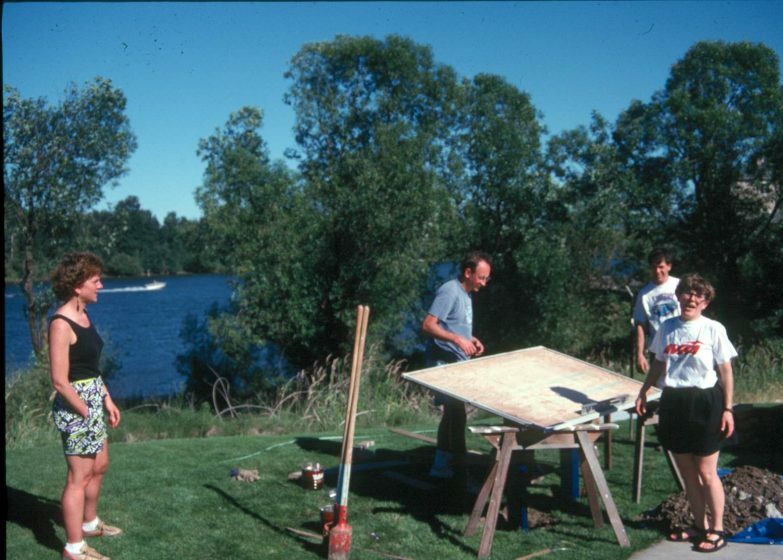 After years of haggling over pruning, clear cutting non-native blackberry, and arguments over views versus trees, the fact remains that constant vigilance is necessary to truly protect this small riverside wetland. 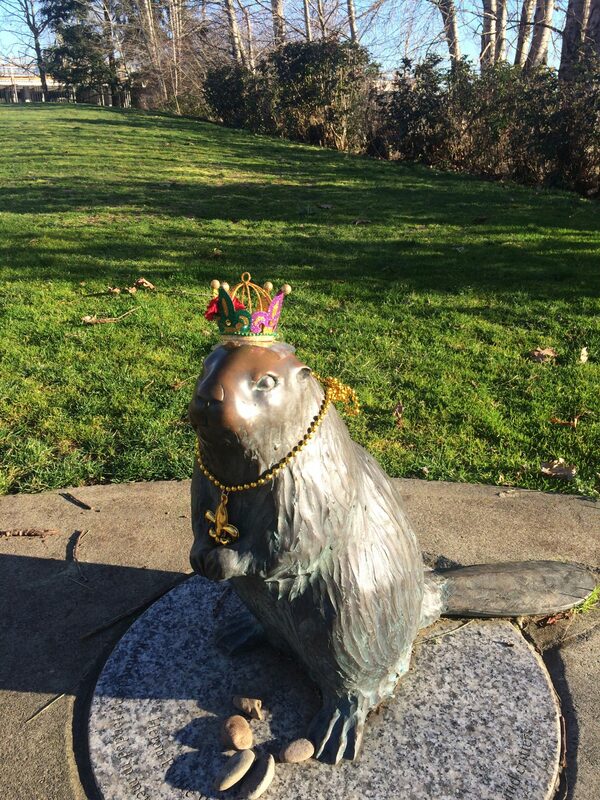 I’m hopeful that Lucy’s beaver will continue to prompt walkers, joggers and cyclists to pause a few moments, perhaps only because they are bemused by the sculpture’s accoutrements, or more hopefully to pause a few moments to enjoy the last little patch of green on this reach of the Willamette River. One thing is certain. 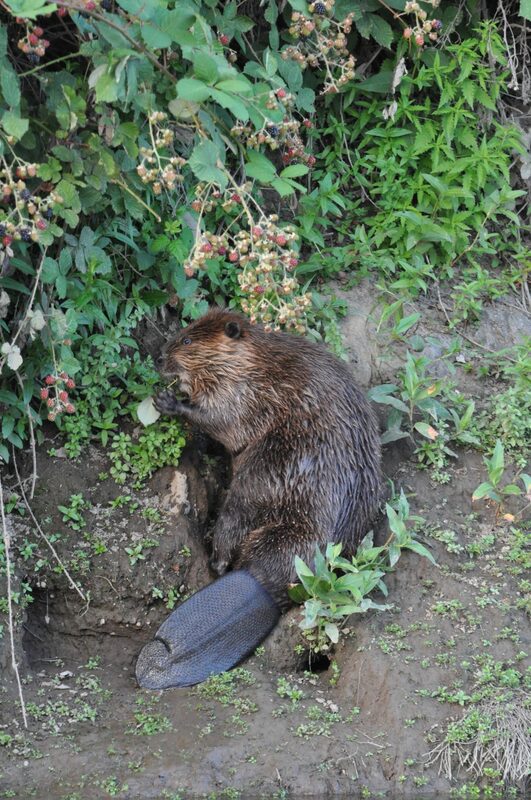 Lucy would be amused had she known that a passing beaver stopped recently just long enough to climb the steep river bank and fell a cottonwood not fifty feet from her sculpture.